Third at Mid-Ohio, third at Lime Rock Park – is there a sequence developing here? ACEMCO team owner Jeff Giangrande certainly hopes not, because he’s still going all out to take on – and to try to beat - the Corvettes in the ALMS. He’s fully aware of the size of that task, but takes considerable satisfaction from Monday’s podium, just ahead of the (factory) Maserati. “That’s the third time we’ve beaten the MC12 in four starts – and we did it from the back this time,” says the team owner. Apparently some glue in the airbox had cracked, and although the big V8 showed every sign of being about to stall (post qualifying), it just wouldn’t. 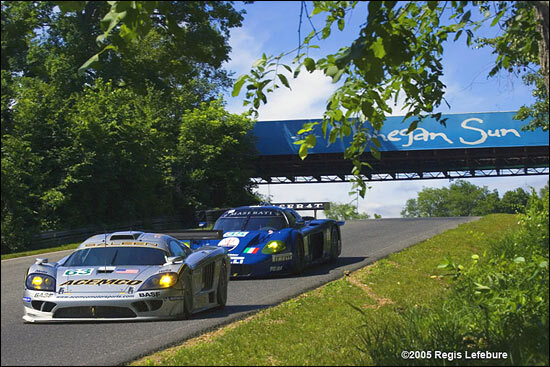 So a start from the back of the grid – and it turned out to be a one-stop race for the Saleen. That was a typical Giangrande decision – to take the chance, to try for the podium, and maybe risk everything. One question Jeff Giangrande is frequently asked by fans at the track is ‘why aren’t you beating the Corvettes?’ He knows why, and after that performance at Le Mans, we know why too, don’t we? And here we have the answer that Johnny Mowlem wasn’t sure of – although he was in the car at the time. How did the #3 Corvette finish second at Lime Rock, even after its off-course excursion? 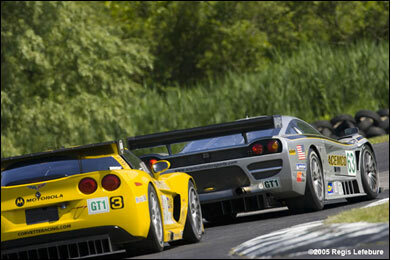 The reasonable conclusion would be that without that Corvette break, the Saleen would have split the C6.Rs. In the meantime, even if the Saleen doesn’t split or beat the Corvettes, there’s still considerable satisfaction to be had from beating the Maserati. Neither of these two ALMS GT1 contenders (ACEMCO and Maserati Corse) were represented at Le Mans of course – ACEMCO having withdrawn because of the rear wing rule for 2005. The irony isn’t lost on the team owner – that he could have been a part of that GT1 scrap at Le Mans. 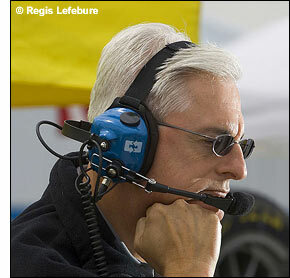 He would have liked that – racing hard against the two best teams in the GT1 world.